Page down past the checkbox section below for a brief discussion of of the basis for the application – this was done in haste at the time. Age … Is it particularly old, or of a date that is significant to the local area? Rarity … Is it unusual in the area or a rare survival of something that was once common? Integrity … Is it largely complete or in a near to original condition? Group value … Is it part of a group that have a close historic, aesthetic or communal association? Oxford’s identity … Is it important to the identity or character of the city or a particular part of it? Other … Is there another way you think it has special local value? How does this contribute to its value? Sections form an integral part of the Headington Hill Conservation Area and the Old Headington Conservation Area which has an extension in recognition of its importance. 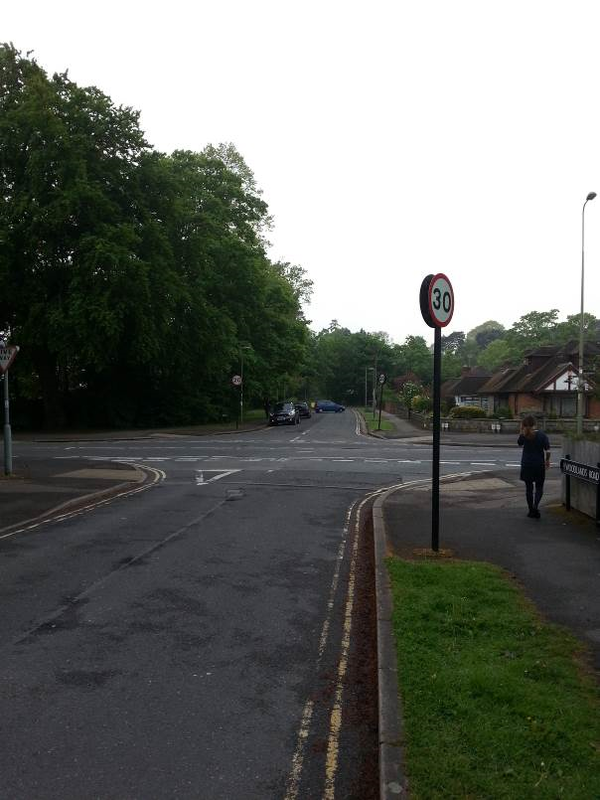 Its importance has been noted in the site DPD for the John Radcliffe Hospital, and both the Old Headington and Headington Hill Conservation Area appraisals. Conservation Area protection provides area protection, but does not adequately reveal the historical significance of historically significant ways such as the river Thames, canals and in this case, a green way linking two formerly separate communities. “Slicing and dicing” parts ancient ways into separate conservation areas militates against developing an understanding of their heritage significance as routes rather than areas. Possible waymarker stone currently a corner stone in the wall of Monkton Cottage at the end of the original way. 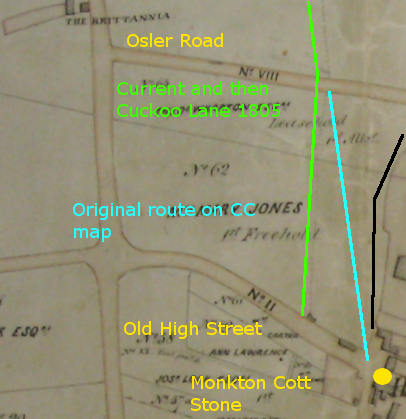 The Corpus Christi Map shows the Oxforde Way seems to show it going directly to the junction Monkton Cottage/Croft/North Place, which is the most direct, and logical, route. The enclosure map of 1805 shows it on its current route, however the old route would have run nearby the existing enclosure marked in black, continuing an almost straight route. Cuckoo Lane appears on the Corpus Christi map of 1605 and the Jefferies Map, on the former as “Oxforde Way” ending at Pullen’s Lane in the West, and Old Headington approximately at North Place/Old High Street junction, with another lost branch (Lost Cuckoo Lane on map) going from the current junction of Woodlands Road/Sandfield Road and narrower, better defined, way lead directly over the grounds of the current John Radcliffe Hospital to the junction of the northern branch of The Croft at the junction of Osler Road at the point where it descends into the village, an almost direct route from the former St Clements Church at the “The Plain” to St Andrews. At the former Sandfield Road junction the base of a structure of a hard stone such as granite is visible of indeterminate age – the may have been a waymarker at the split of the ways. 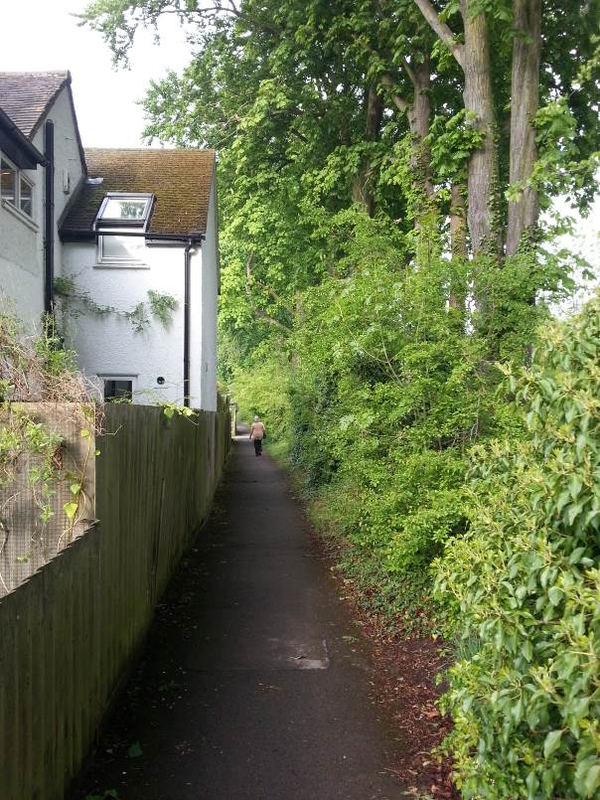 The section requested for listing is little more than an attractive avenue of particularly mature beech trees which appear to continue those lining the north side Cuckoo Lane at the John Radcliffe Hospital, although it does contain a boundary stone and possible base of a waymarker. The value is in linking the two Conservation Areas to reveal the historical significance of Cuckoo Lane as an asset in its own right. Legacy System InformationThe contents of this record have been generated from a legacy data system. Asset GroupingsThis list entry does not comprise part of an Asset Grouping. Asset Groupings are not part of the official record but are added later for information. INSCRIBED STONES 1. 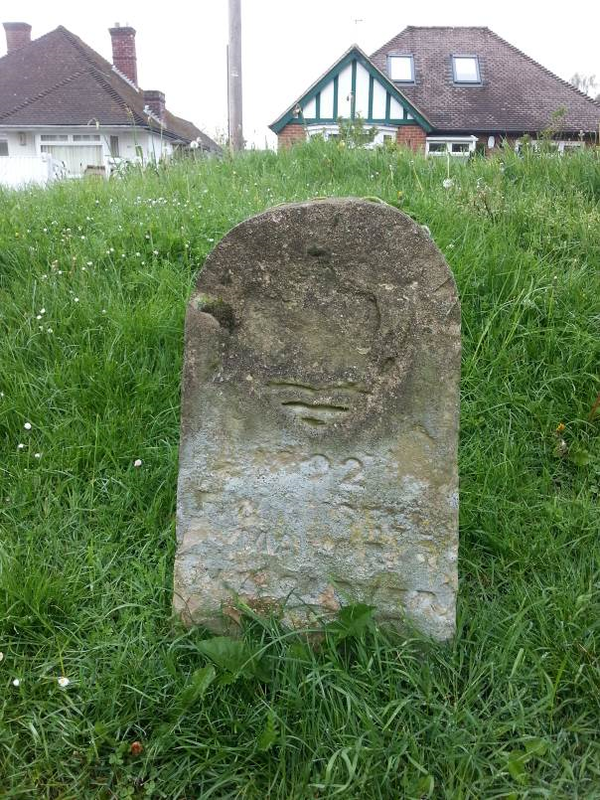 1485 Highway stones Stone at the junction of Marston Road and the footpath to Pullen’s Lane SP 50 NW 24/742 II 2. Stone, probably Cl7. Inscribed ‘esheding – ton way’ the rest illegible. This stands on the line of the old City boundary and may in fact be connected with that. This was the pre-1881 boundary of the City.